Please note that the Office will close at 5pm on Friday 23rd December 2016 and re-open 9am on Tuesday 3rd January 2017. We are pleased to announce that Emily Smith will be joining the Family Department. Emily deals with all aspects of family law including, divorce, separation, finances and private law children matters. 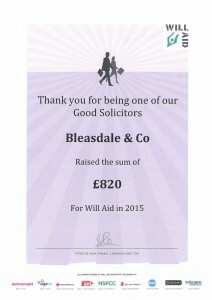 She will also continue to act for people in Personal Injury matters, as well as representation in the Police Station and Magistrates Court and is well-versed in the recovery of debts. 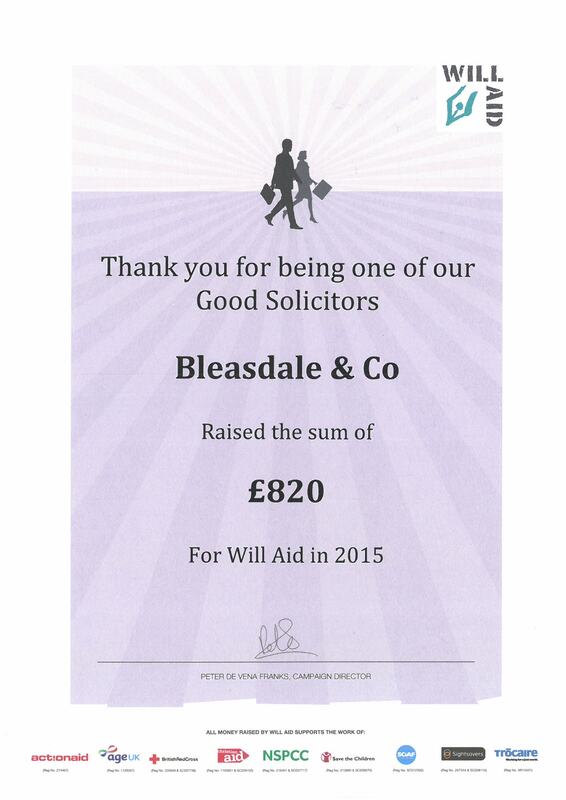 Bleasdale & Co. are proud to have been part of Will Aid, raising money for several worthwhile charities. From April 2016 the purchase of second homes will be subject to a higher rate of stamp duty land tax. Anyone purchasing a second home in addition to their main residence will be liable to pay the higher rate of stamp duty land tax even if the property is not let out. The higher rate will be 3 percentage points above the current SDLT rates, and will take effect from the 1st April, 2016. Certain purchases are exempt, ie. mobile homes, houseboats and caravans.